Svengoolie gives nod to Terror Daves in his Blog! Also, come back on Tuesday, April 5th, for a followup as David A. discusses meeting his idol for the first time! This entry was posted in Horror Hosts, Stalking Svengoolie! 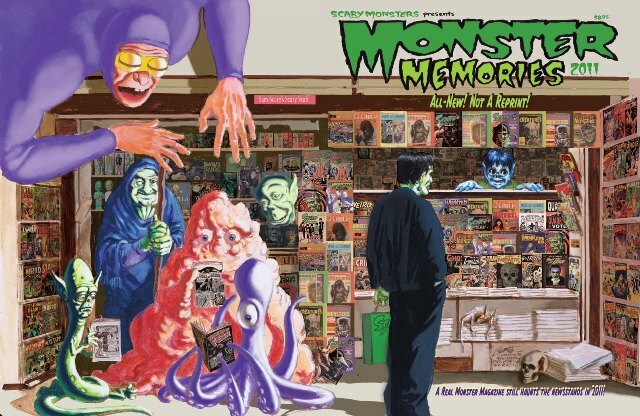 and tagged Horror Blog, MONSTER MEMORIES, SCARY MONSTERS MAGAZINE, Svengoolie. Bookmark the permalink. ← Norman Reedus at Monster Mania! This is Matt Sanborn and I wrote that article on Creature Double Feature. We are pleased to announce we are having a convention dedicated to the show on Sept 24, 2011 in Norwood, MA. Please drop me a line, I’d love to talk with you.